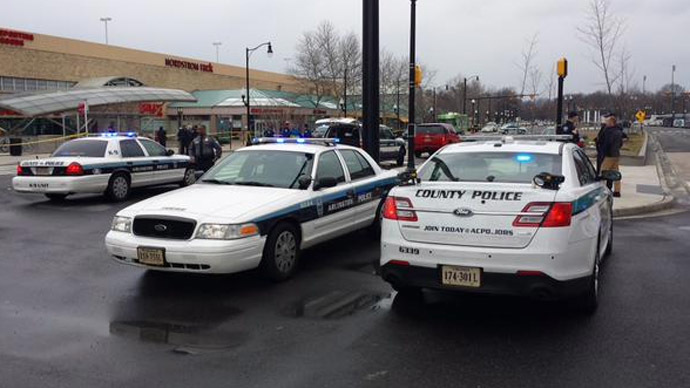 A shopping mall in suburban Washington, DC was evacuated on Friday afternoon after authorities received an anonymous bomb threat. A phone call placed at around 12:30 p.m. ET prompted officials to empty out the Fashion Centre at Pentagon City in Arlington, Virginia as a precaution. Three hours laterK9 units gave t the all-clear and business returned to normal. The mall is located across the street from the Pentagon, the United States Department of Defense headquarters. Bomb-sniffing dogs were at the mall, local news reported, but were expected to take a while to finish patrolling the 821,024 square foot retail space. “It’s going to take a while to do a full sweep just because of the sheer size of the center,” Arlington County Police Department spokesperson Dustin Sternbeck told ARLnow.com. Shopping malls in Florida and Michigan were also evacuated earlier this week over similar scares. The Fashion Centre at Pentagon City received a bomb threat last year on Christmas Eve, according to Arlington County Police records.